Click on read more + comment to see more pics. This is the outfit that I wore last weekend when I went for an awesome bike ride with my boyfriend :). I felt like a little kid on a “Goonies” adventure…(smiles…). This tank top from the 80s is so off the beaten path for me because its a bright color. I thrifted it from Beacon’s Closet for $12 and paired it with my vintage Levi’s high waisted shorts that I purchased from Urban Outfitters for $28. 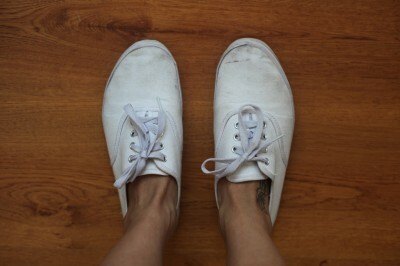 On my feet I have my white skippies $18 from Urban as well, which I love because they are nicely worn in and beat up! u look so what my foreign mind pictures L.A. to be. totally! lol @facebook-500592830:disqus I agree, I was channeling the West coast on this one. Yep, this looks screams California girl! I should know…I live in the Golden State! I remember this top, ugh luckily you found it first, lol. Cute! I love my sneakers worn too, especially chucks (converse). 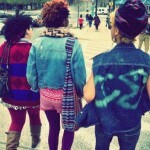 I gotta find some denim sneakers so I can try to distress them the way Cipriana did. I thought that was super cool. 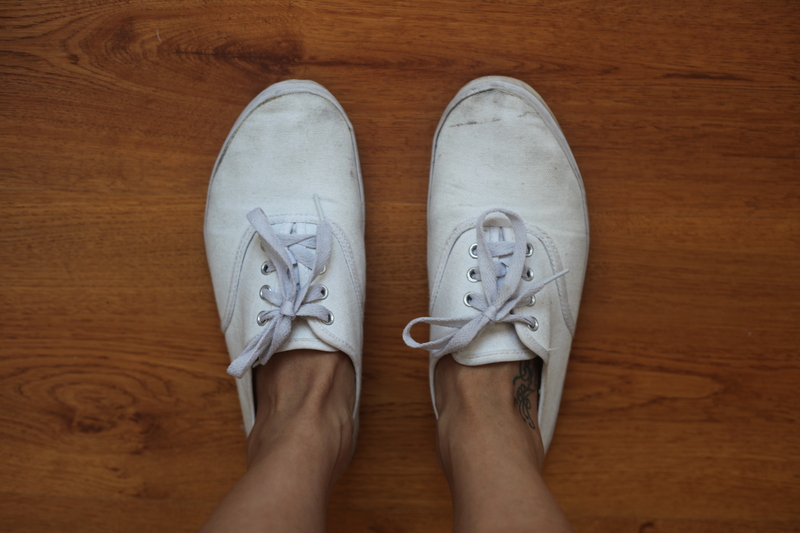 Thanks @9874d8ed1b5c28f6f5bd4055e9450156:disqus I love all my flats beat up And if you distress your sneakers by using Cipriana’s method, you should let us know how it works out :). You look like a teenager in that pic! I love the color of that tank top! It looks good against your skin tone. Another winner Nikisha! This combination is so classic and fresh and jjust perfect for summer.